Holders, and All Ireland Club champions, Dr Crokes, are through to the Semi Finals of the Garvey's SuperValu Senior Football Championship following a five points victory over Kenmare Shamrocks while South Kerry are back in the semi finals following a hard earned victory over Rathmore in the other quarter final played at Fitzgerald Stadium this afternoon. Holders and All Ireland Champions Dr Crokes are through to the Semi Finals of this year’s Championship following a deserved five points victory over Kenmare Shamrocks in the opening game in Fitzgerald Stadium this afternoon. A wasteful Dr Crokes side were just a point to the good at the break after a closely fought first half but once they surged three clear at the three quarter stage they always looked like winners despite one or two nervous moments. As in the Club Final meeting between the sides two weeks ago, Kenmare’s kick-out strategy caused them all sorts of problems with Dr Crokes pushing up on them and the Killarney side winning anything sent to the centre of the field. This game was not as freeflowing as the Club Final and there were plenty yellow cards dished out by Referee Padraig O’Sullivan. Dr Crokes had the better of the opening exchanges and led by 4 points to 2 after 13 minutes with four different scorers for the champions and Sean O’Shea getting a peach of a point on the run for Kenmare. Both Daithí Casy and Kieran O’Leary, who retired with a leg injury shortly after, had goal chances in that opening quarter . Kenmare showed a gradual improvement with points from Mark Crowley, Paul O’Connor and Stephen O’Brien during their best period of the game and led by a point by the 23rd minute. Indeed Shane O’Sullivan also rattled the cross bar in that period of dominance but Gavin O’Shea sent a screamer just over the bar in the 25th minute to tie the scores. Sean O’Shea restored Kenmare’s lead from a free but then Micheal Burns with his second from play and a Daithí Casy free saw Crokes lead by 7 points to 6 at the break the Killarney side having kicked 8 wides in that half. Sean O’Shea and Colm Cooper exchanged pointed frees on the resumption but then Crokes hit four points on the trot before Sean O’Leary pointe for Kenmare and at the three quarter stage Crokes were in the driving seat 11 to 8 to th e good. Sub Ambrose O’Donovan restored the four point lead soon after his introduction but then Kenmare’s Brian O’Sullivan had a great chance of a goal but his shot went over the bar. Sean O’Shea from a free did reduce the margin to two points soon after but Dr Crokes were able to strike back with scores anytime their lead was threatened. Three points still separated the sides when Kenmare were almost in for a goal in the 26th minute but the shot was smothered in the square and Dr Crokes closed out the game with late points from Daithí Casey and Tony Brosnan. Dr Crokes: Micheál Burns 0-4, Colm Cooper 0-3 (2 frees), Tony Brosnan and Daithí Casey (0-1 free) 0-2 each, Shane Murphy (45), Johnny Buckley, Gavin O’Shea, Kieran O’Leary Ambrose O’Donovan and Paul Clarke 0-1 each. Kenmare: Sean O’Shea 0-6 (0-5 frees), Sean O’Leary, Mark Crowley, Kevin O’Sullivan, Paul O’Connor, Stephen O’Brien and Brian O’Sullivan 0-1 each. 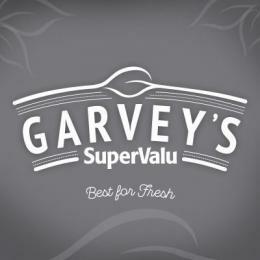 South Kerry are through to the semi finals of the Garvey's SuperValu Senior Football championship following a three points victory over Rathmore in the second game at Fitzgerald Stadium but they were left sweating on the fitness of Bryan Sheehan after the Kerry star limped out of the action five minutes from the break. A scoring burst midway through the second half during which they kicked four unanswered points turned out to be the difference between two evenly matched sides and Rathmore were left to bemoan the early loss of talisman John Moynihan with a leg injury. South Kerry were quickly into their stride with four points from play inside the opening 7 minutes with Shane Ryan, who was a handful for Mark Griffin throughout, pointing two frees in reply. George O’Keeffe, Donal O’Sullivan and Ryan with another free gave Rathmore the lead for the first time by the 20th minute but Ronan Hussey levelled just before Sheehan departed the scene in the 23rd minute. The Ryan brothers, Shane and Mark gave Rathmore a two point lead but the impressive Robert Wharton and a fine effort from Daniel Daly, who finished with four points from play, saw the sides retire on level terms at the break on 7 points apiece. The sides exchanged points twice on the resumption before that purple spell by the Divisional side that saw Daniel Daly (0-2) Matthew O’Sullivan, who worked tirelessly in the second half, and Niall O’She give South Kerry a 13 points to 9 lead by the 20th minute of the half. Padraig O’Sullivan saved a close range effort by Rathmore with Shane Ryan pointing the resultant free but Brendan O’Sullivan replied with a fine point for the southerners before Paul Murphy, operating in the half forward line, gave Rathmore hope with two quick points to half the deficit with four minutes of normal time remaining. However a fine pointed free from Paul O’Donoghue was the insurance score for the winners who finished the game with 14 men after Paul O’Sullivan received a second yellow card. South Kerry: Daniel Daly 0-4, Matthew O’Sullivan 0-3, Brendan O’Sullivan and Ronan Hussey (0-1 free) 0-2 each, Robert Wharton, Paul O’Donoghue (free), Graham O’Sullivan and Niall O’Shea 0-1 each. Rathmore: Shane Ryan 0-5, frees), George O’Keeffe and Paul Murphy 0-2 each, Mark Ryan, Donal O’Sullivan, Cathal Murphy 0-1 each.